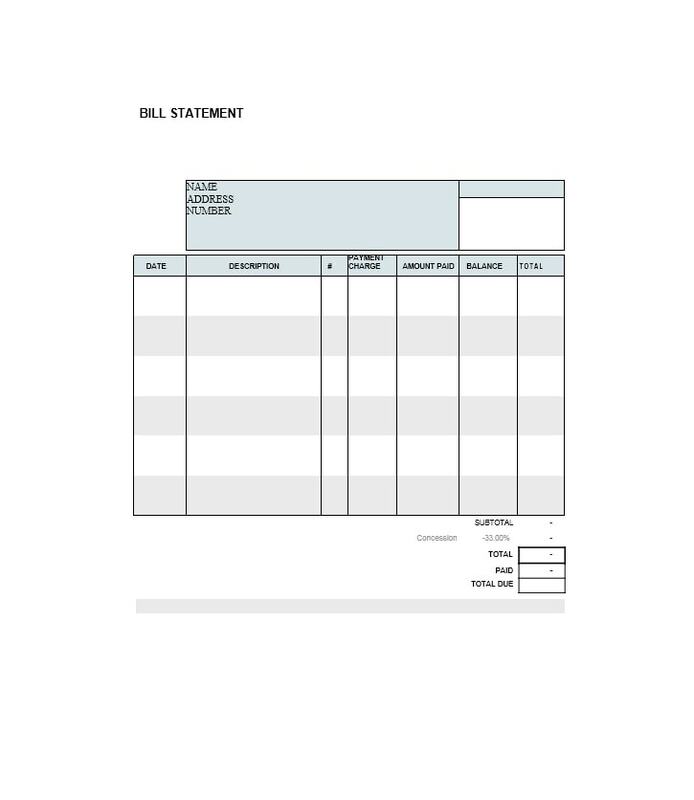 A billing statement is a periodic report issued to customers. 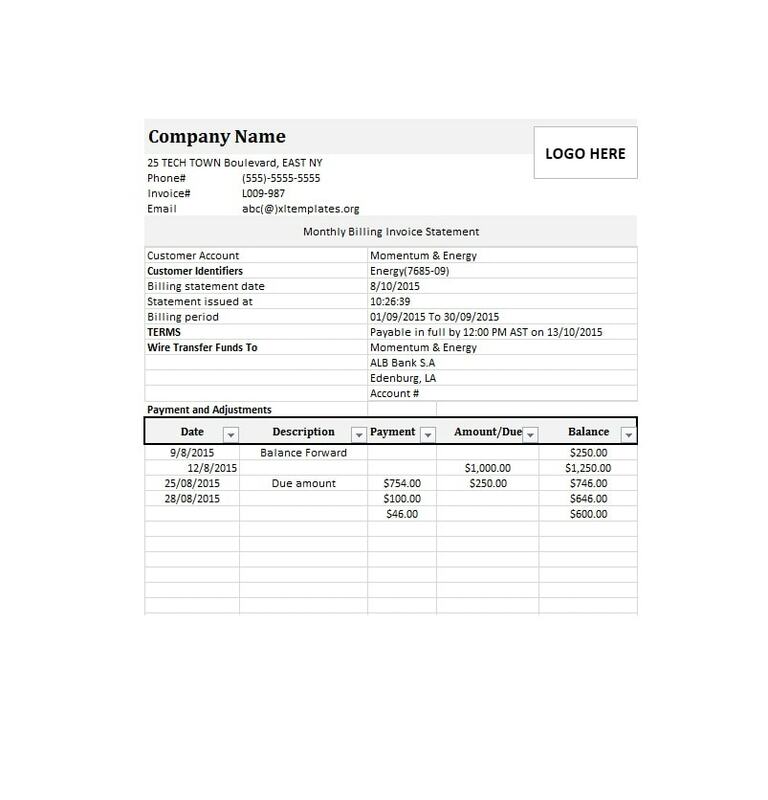 It shows a record of transactions, balance due, and other relevant information. 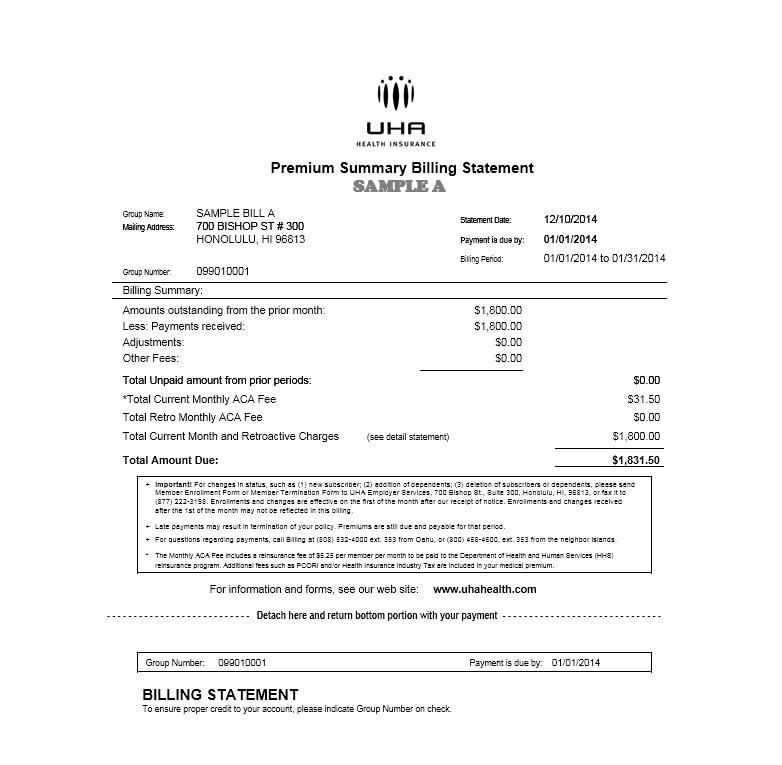 They are usually issued at the end of a billing cycle, which usually lasts for a month. 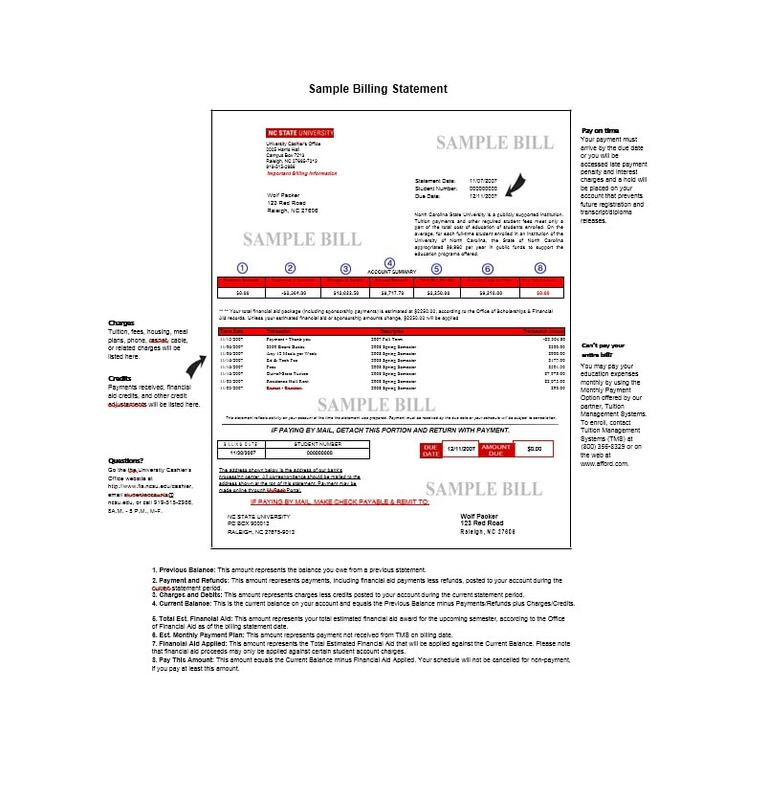 There are different types of billing statements. 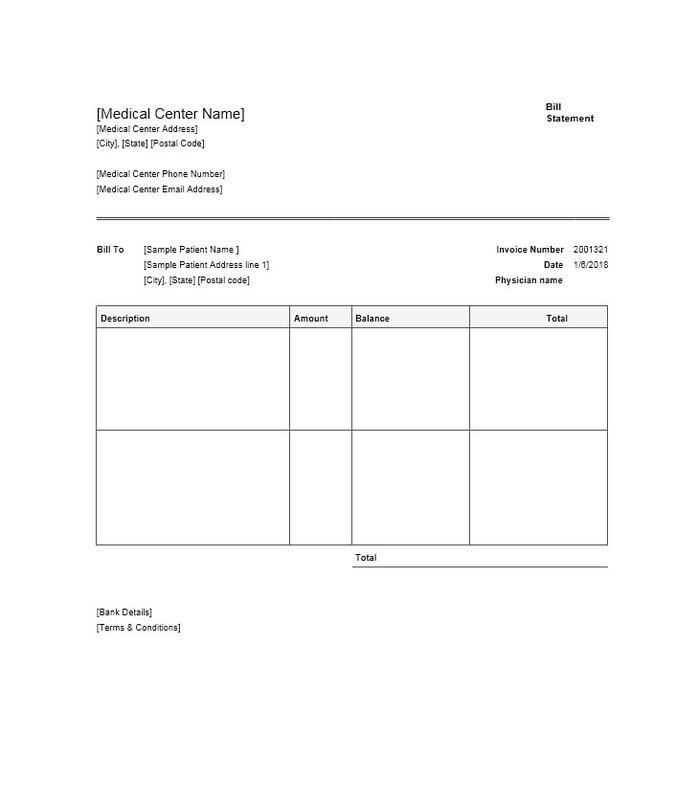 These include medical billing statement template, itemized billing statement template, and more. 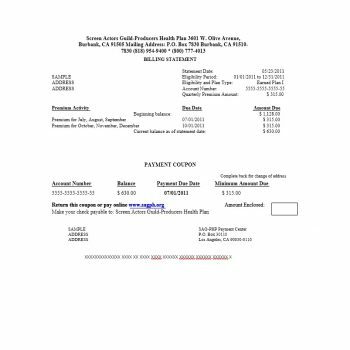 You can receive this document online or by mail. Such statements usually contain different sections. All these sections contain specific information. 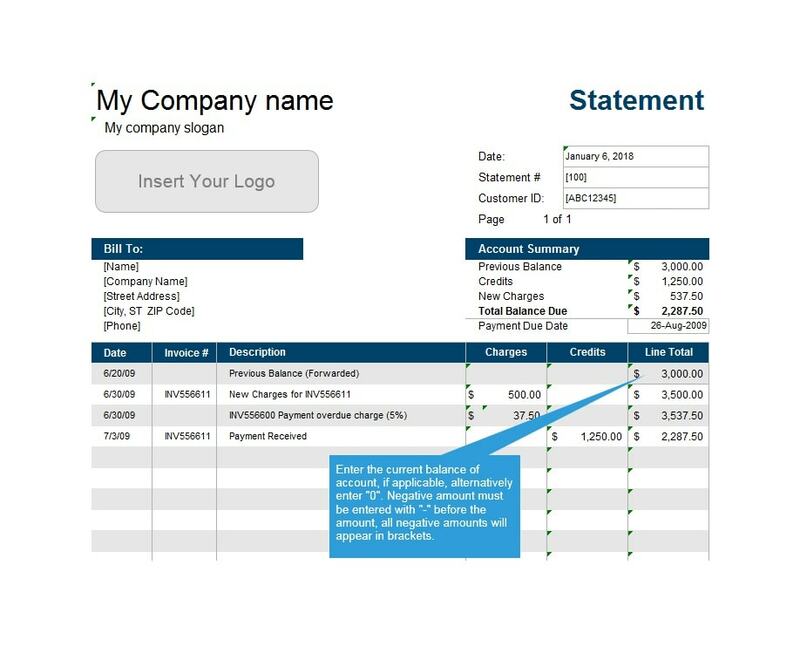 For instance, for a credit card statement, one section will show specific information. It may contain your previous balance, payments, and the total amount of purchases. 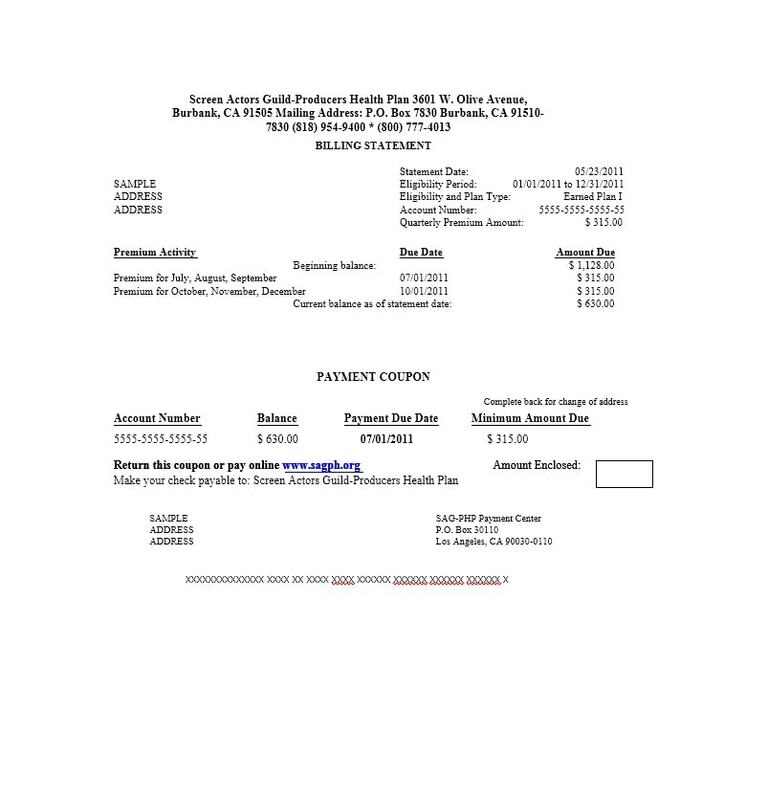 This would let you know how much you have to pay by the due date. This type of statement will also show the minimum payment due as well as the due date. This information is important so you can avoid late penalty interest fees. 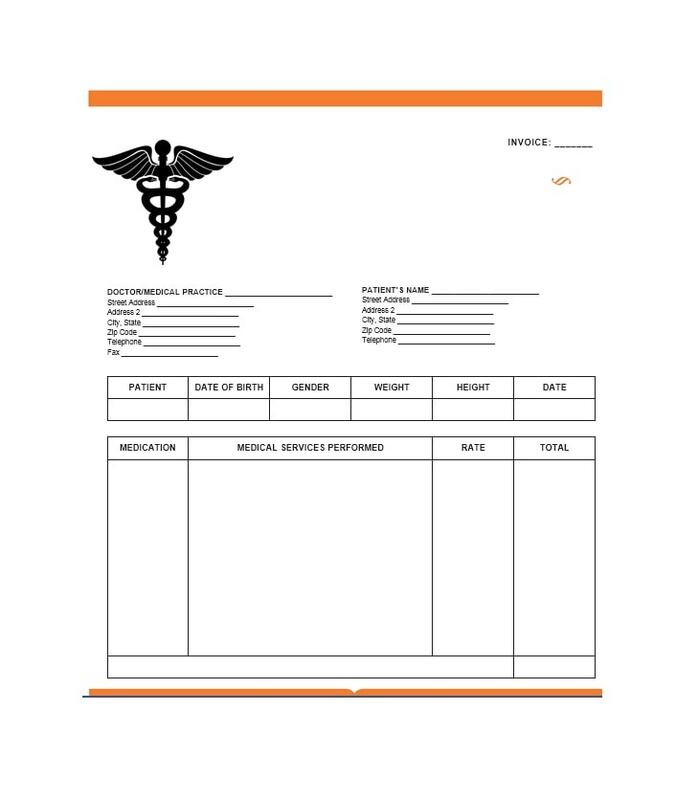 A medical billing statement template would contain different types of information. Your healthcare provider would issue such a statement to you. 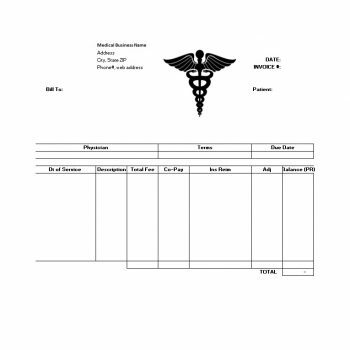 It would mainly contain the information about how much you owe to the hospital or facility. 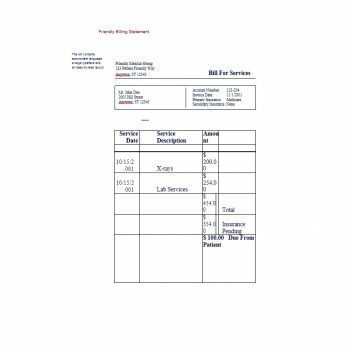 Because of the varied processing time, it may take days to receive such a document. 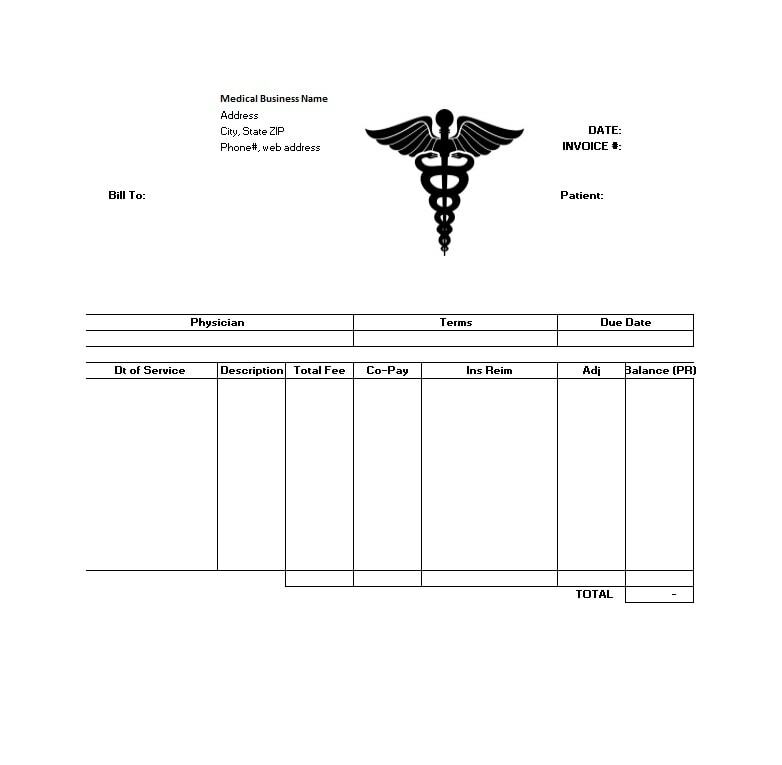 With this, you’ll know exactly how much money you need to prepare to cover your hospital bills. 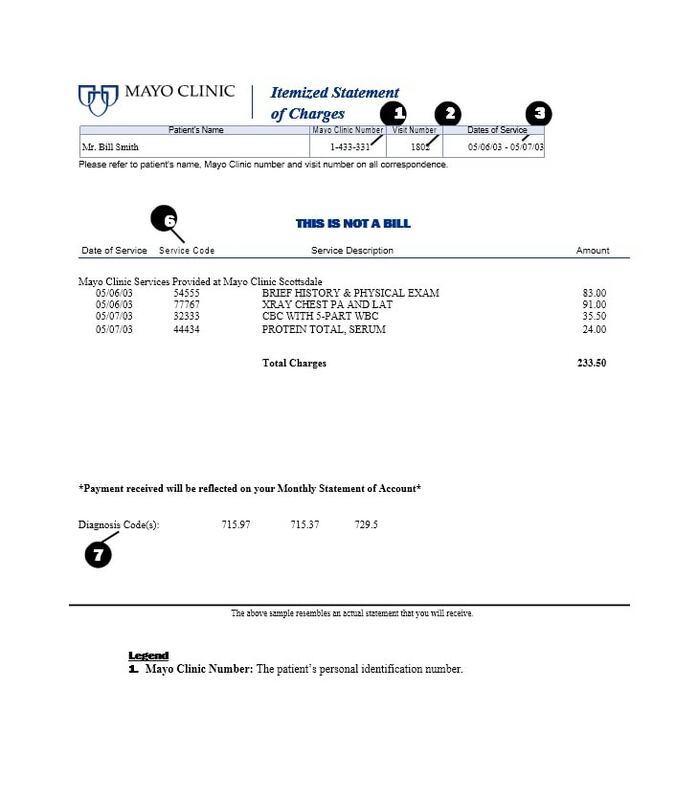 An itemized billing statement also differs. It’s a periodic statement given by a financial institution. Banks, brokerage firms, and other institutions issue this statement to its customers. It contains a detailed account of all the activity within a given period. 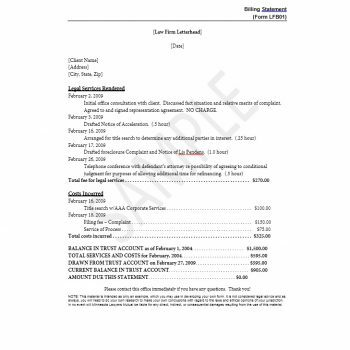 These documents may contain debits, credits, and other activity done by the customer. 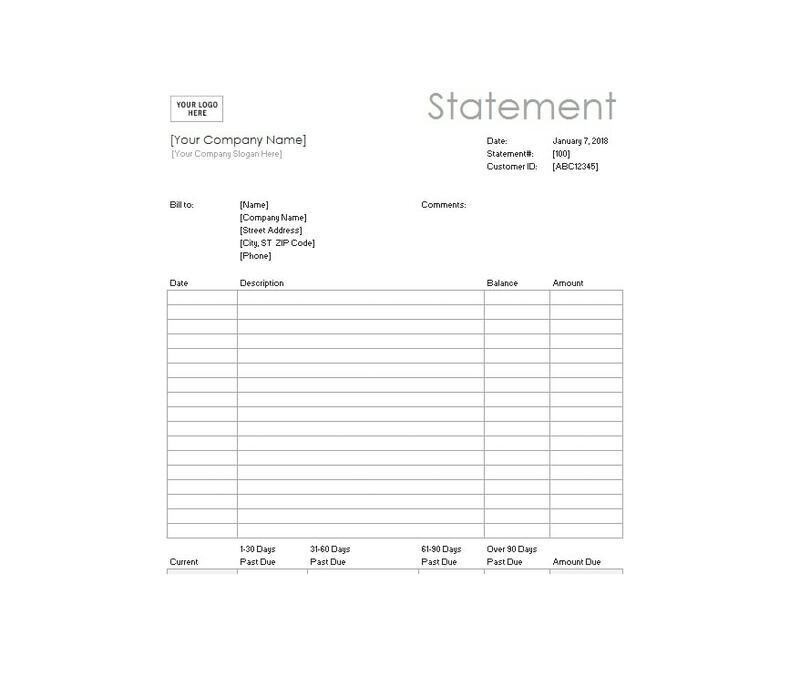 A lot of people believe that the words “statement” and “invoice” are the same. In fact, people use them interchangeably. But the truth is, they differ in their meaning as well as their purpose. A statement provides a summary. It’s designed to emphasize and clarify what a person owes. 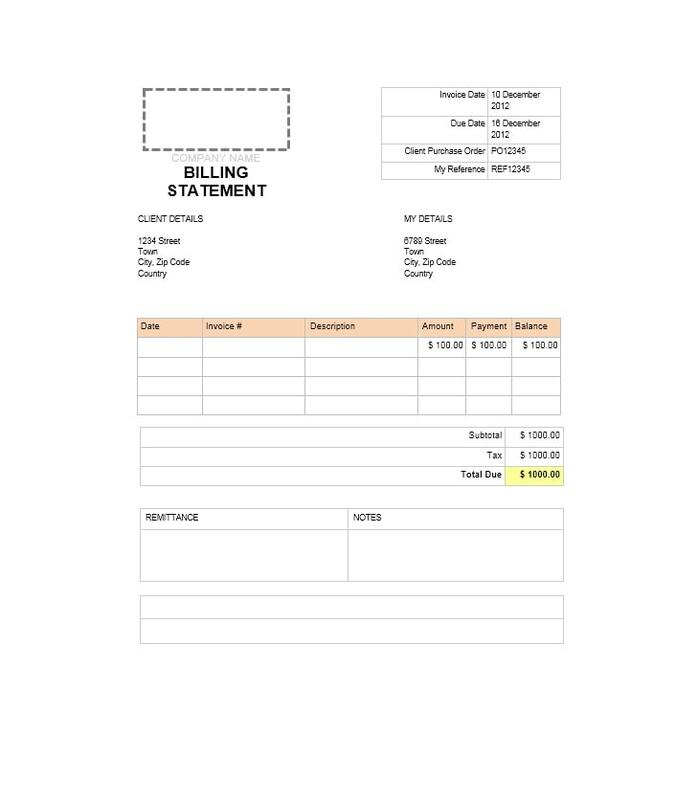 On the other hand, an invoice creates an obligation for a person to make a payment. It would be for goods or services he purchased from somewhere. This is a presentation of the whole amount a customer owes at one point. 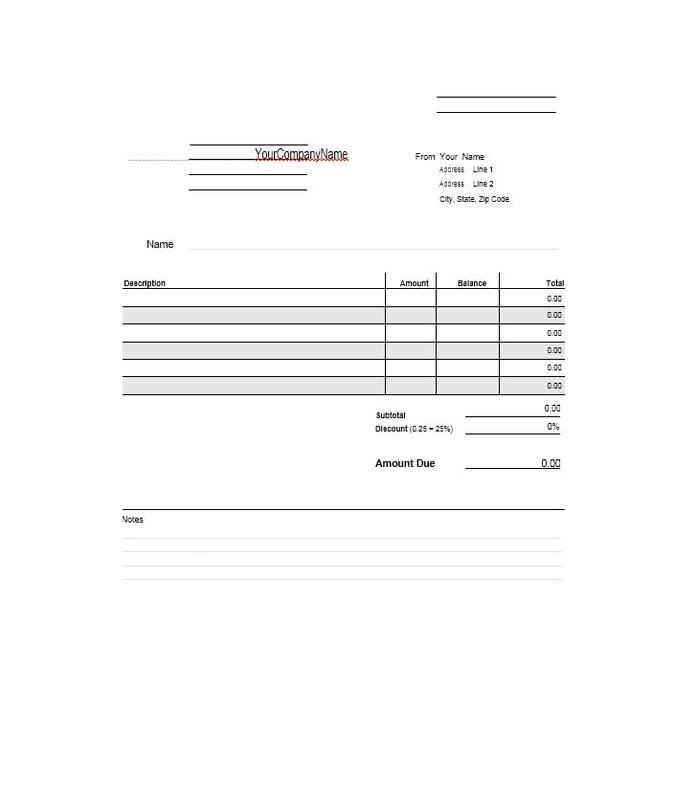 It’s sort of a snapshot of all the invoices due by a customer as of the statement’s date. 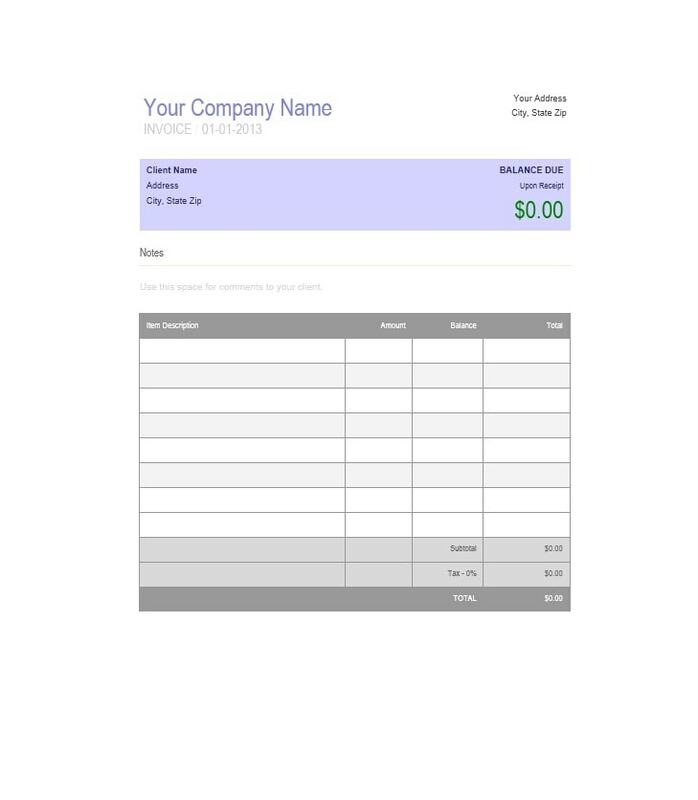 It usually contains information about the customer’s previous and current balances. 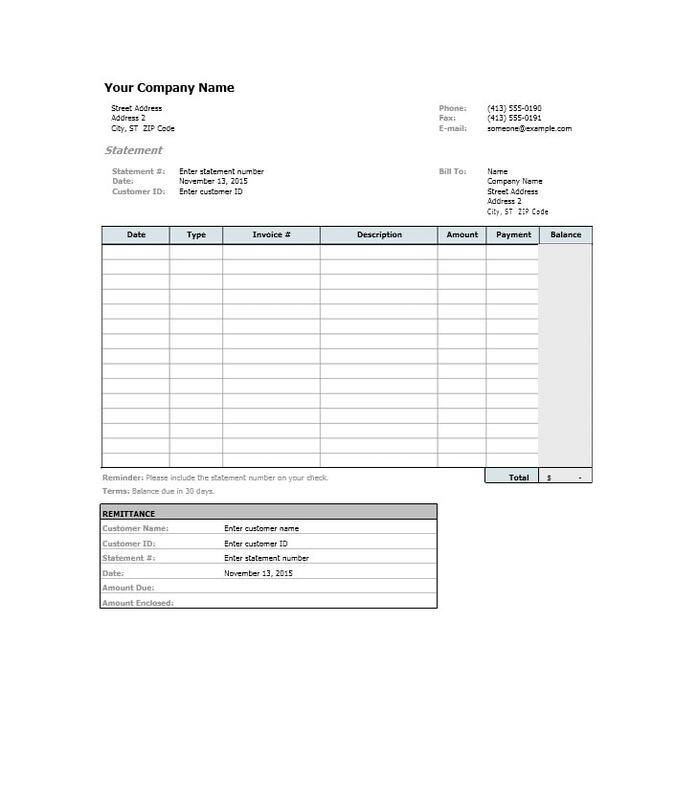 It may also contain the time period that each of the invoices has been existing. 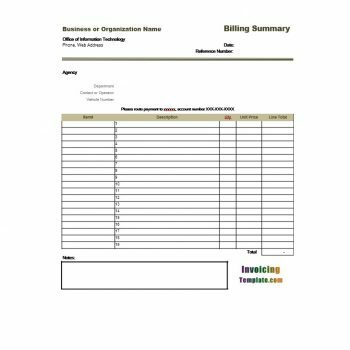 Simply put, an invoice is a bill. Its purpose is to obtain payment from a specific customer. It’s used to record a transaction in the books of the institution. 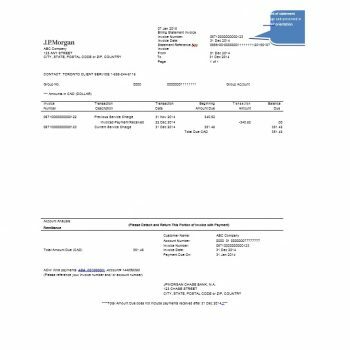 It shows the transaction details such as the cost of the item, the total cost, and the tax. It also specifies terms of payment. 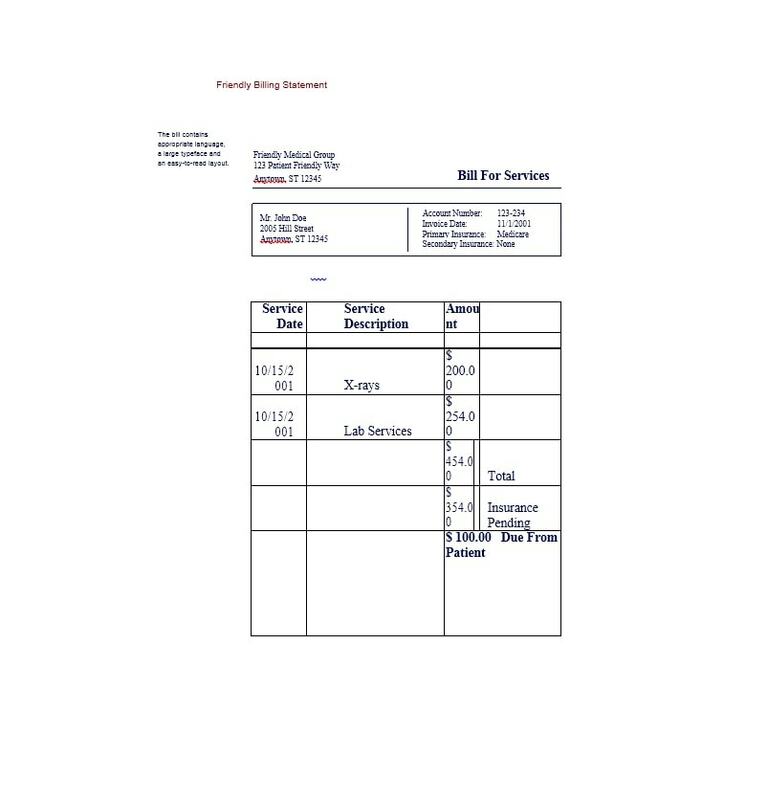 So you will know when you need to pay for the business. As you can see, they aren’t similar at all. What they do have in common is that they have a link to payments. 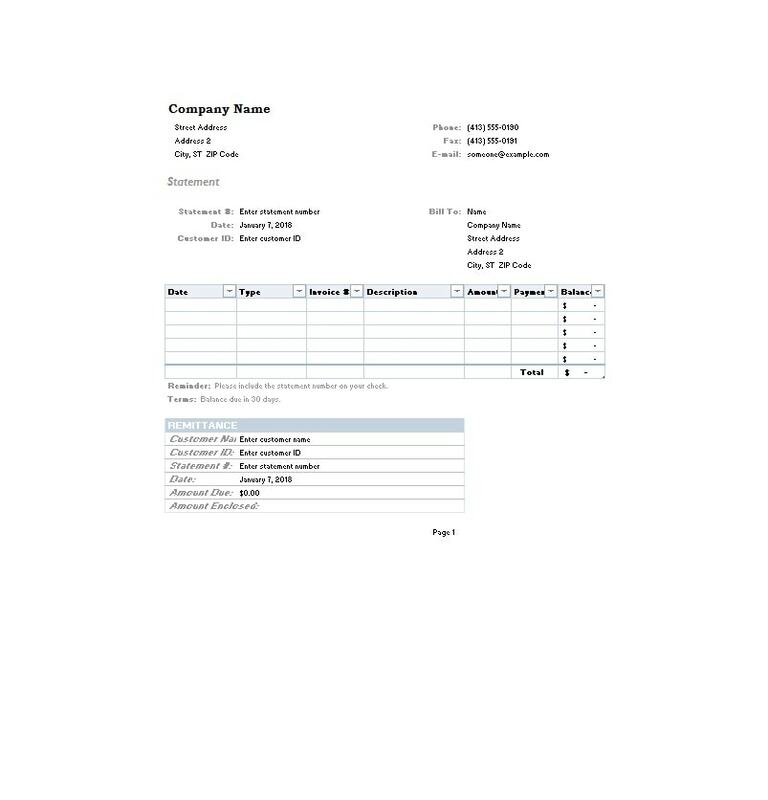 The statement contains more information while the invoice is more current. 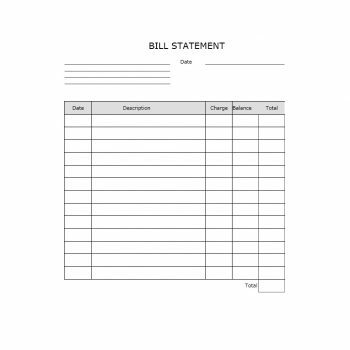 At some point, you may receive a monthly billing statement template. 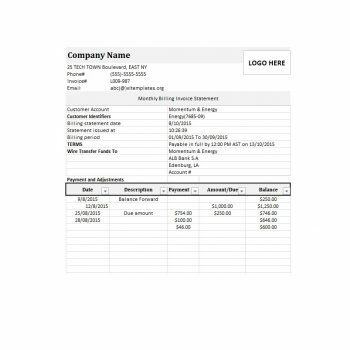 But you won’t likely receive a monthly invoice template. A lot of people depend on their credit cards to pay for different purchases. Whether they’re regular purchases or bigger ones, people often turn to credit cards. 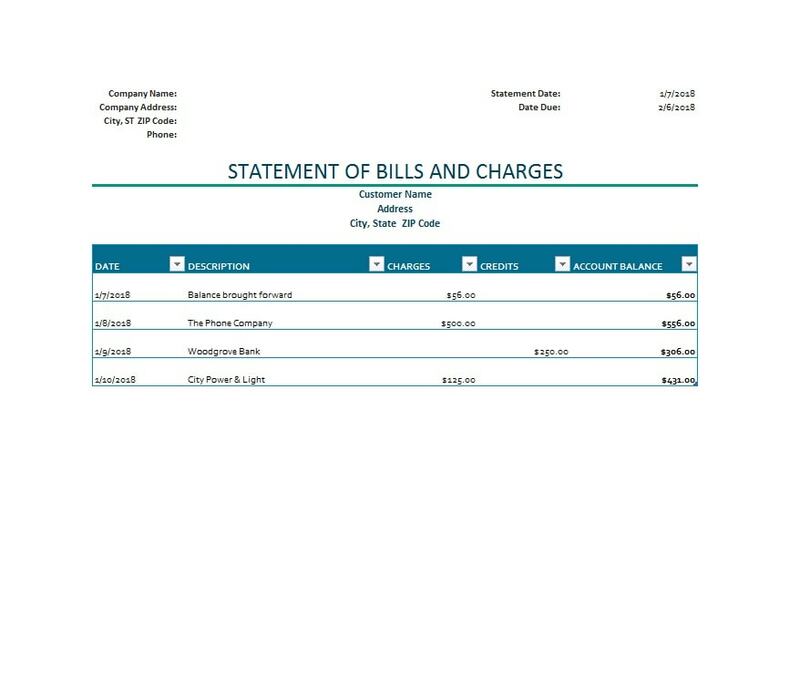 All transactions get recorded on their monthly billing statements. But who actually checks their statements regularly? 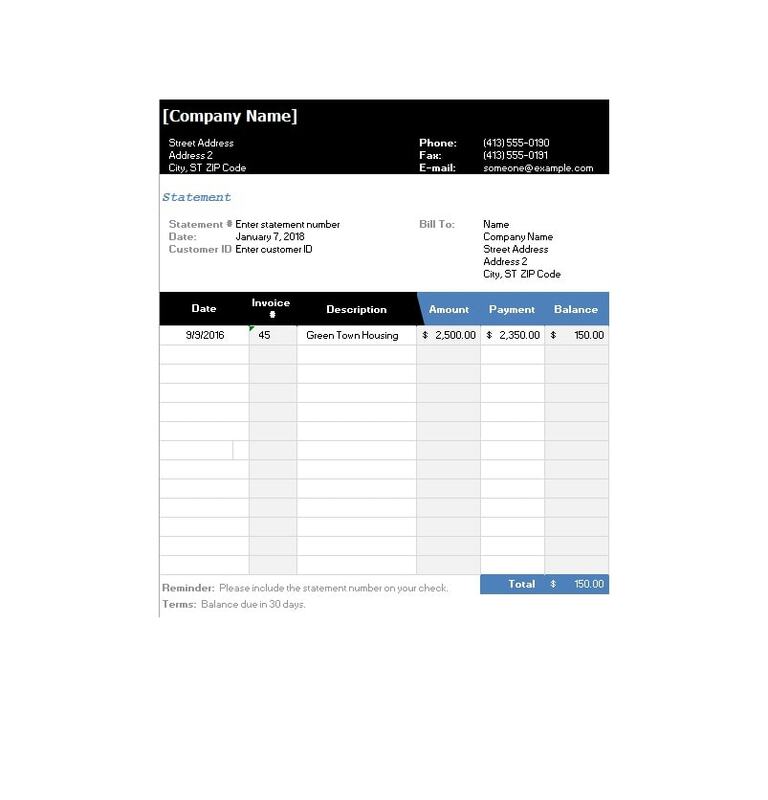 Your opening balance which shows how much you owe. All the purchases you’ve made within the time period, which is usually a month. All cash withdrawals you’ve made. Interest charged for your outstanding balance. 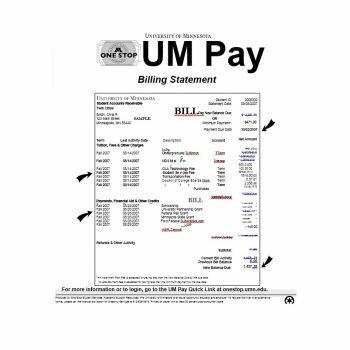 Late payment fees you’ve incurred if any. 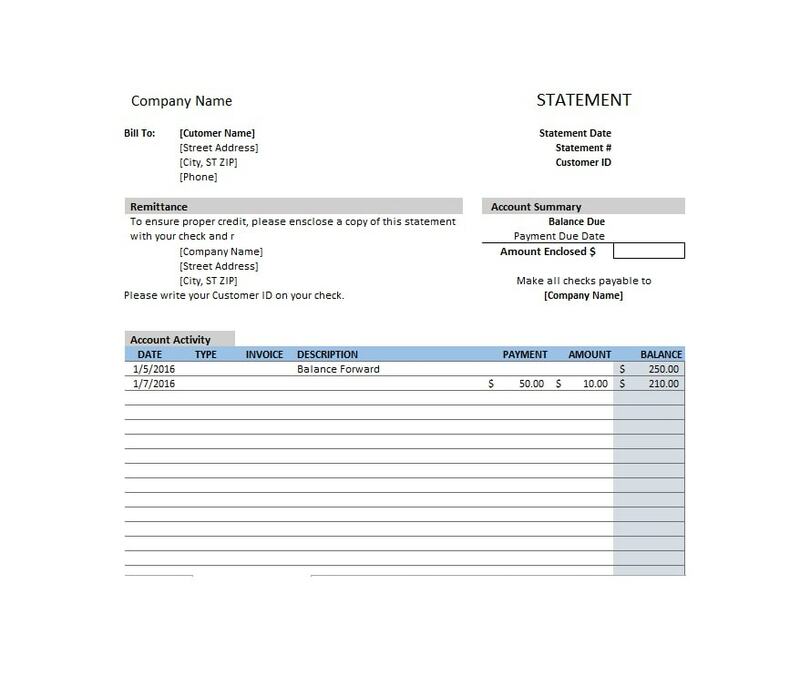 The total amount you owe at the statement’s date. The minimum payment you need to make. The due date for you to make the minimum payment. 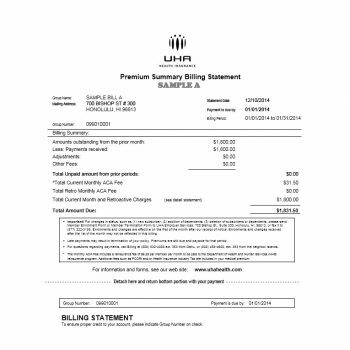 For different types of billing statements, the information may vary. 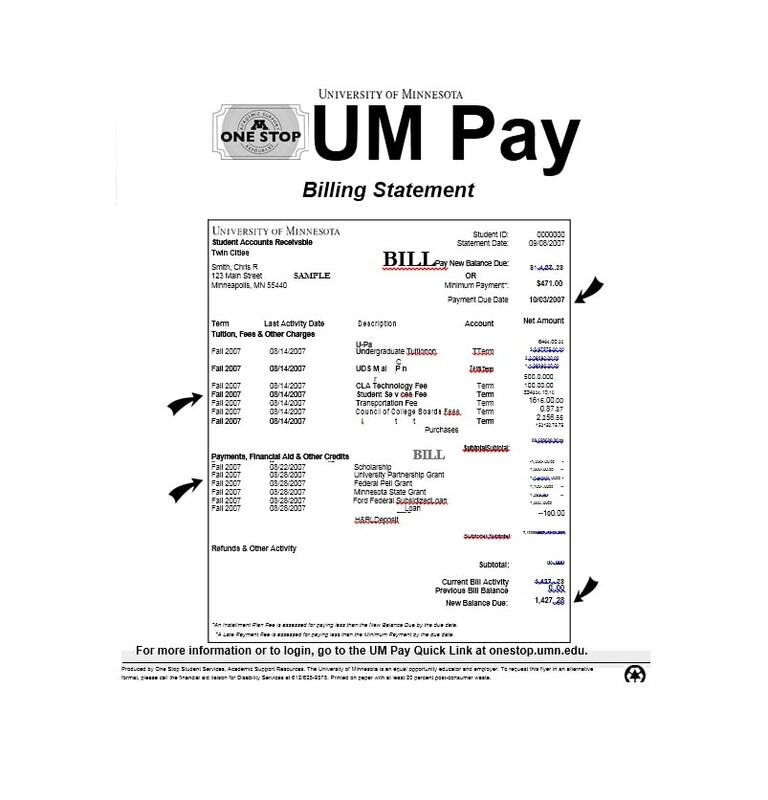 You may want to make your own billing statement template for your institution. You can do so by downloading a template here. 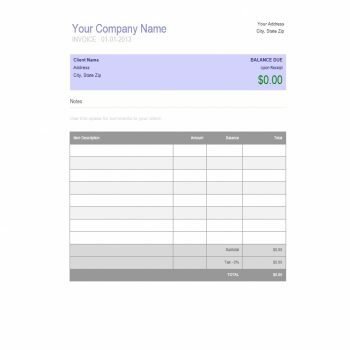 You can customize the template by adding any pertinent information as needed. In the case of statements for credit cards, they would also contain your credit limit. This is a vital piece of information as you can’t spend beyond your credit limit. So you should keep track of what you owe so you don’t end up swiping a card which you’ve already maxed out. 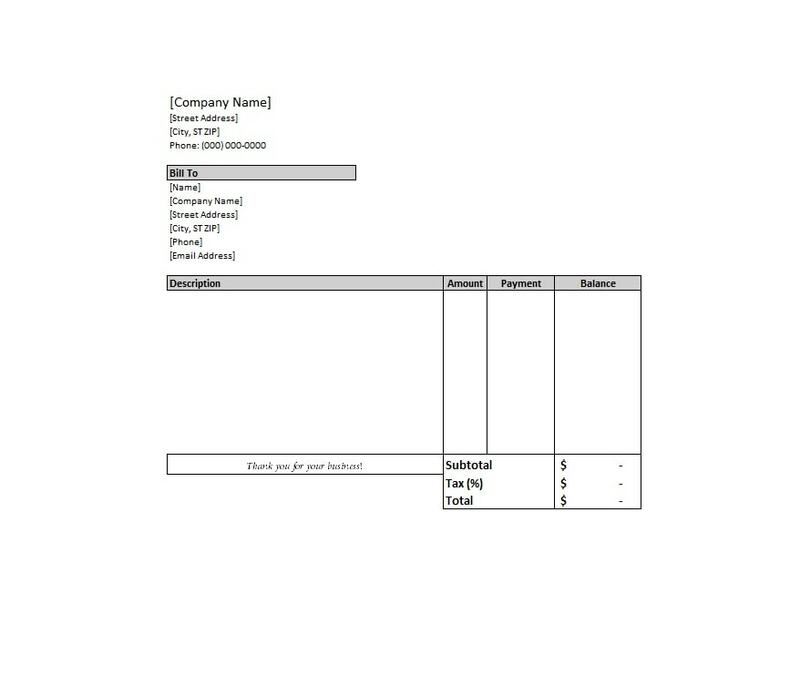 After you’ve received the statement, try your best to make the payment on or before the due date. 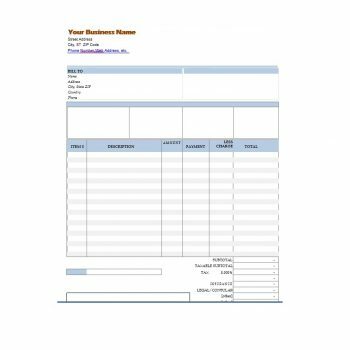 Creating a professional template is a big part of some businesses. 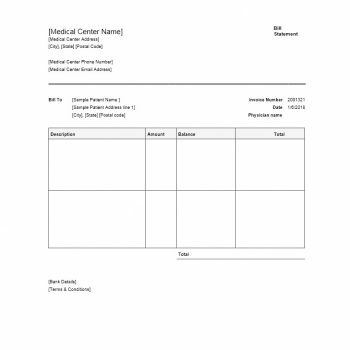 You may need a medical billing statement template for your hospital. 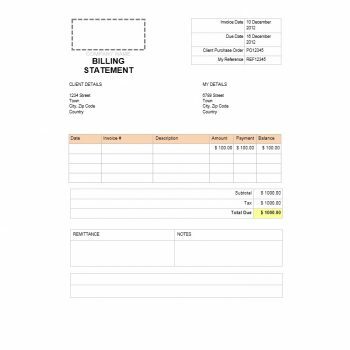 You may need an itemized billing statement template which contains more details. Launch Microsoft Excel or any other spreadsheet software you’re comfortable using. 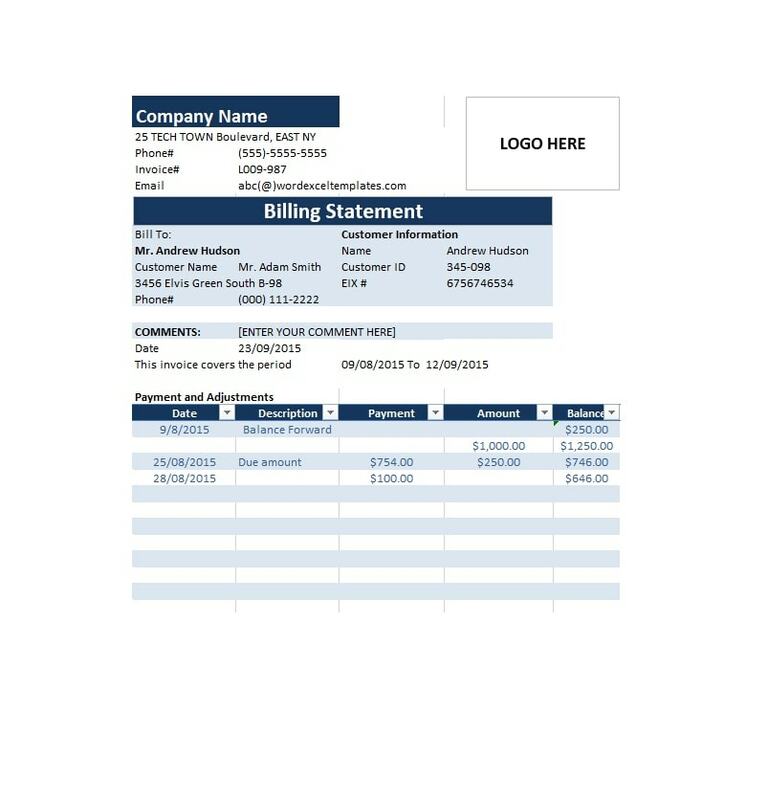 Then download a billing statement template from here. 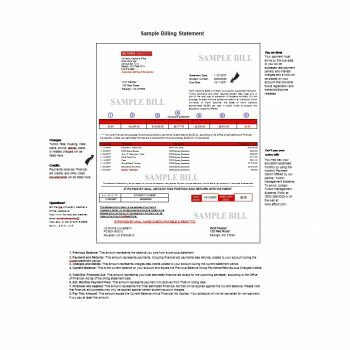 Having a template will save you time and give your document a clean and professional look. 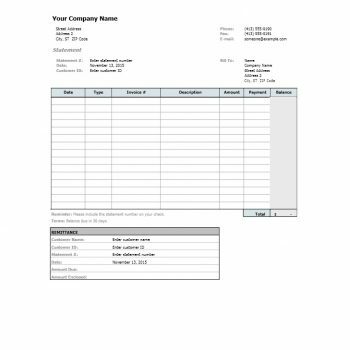 Once you’ve loaded your template on your software, type in the name of your company. You can change the font style, size, and color as you prefer. Type your mailing address under the name. Make sure the text is easy to read and understand. Remember, you’re creating a template. 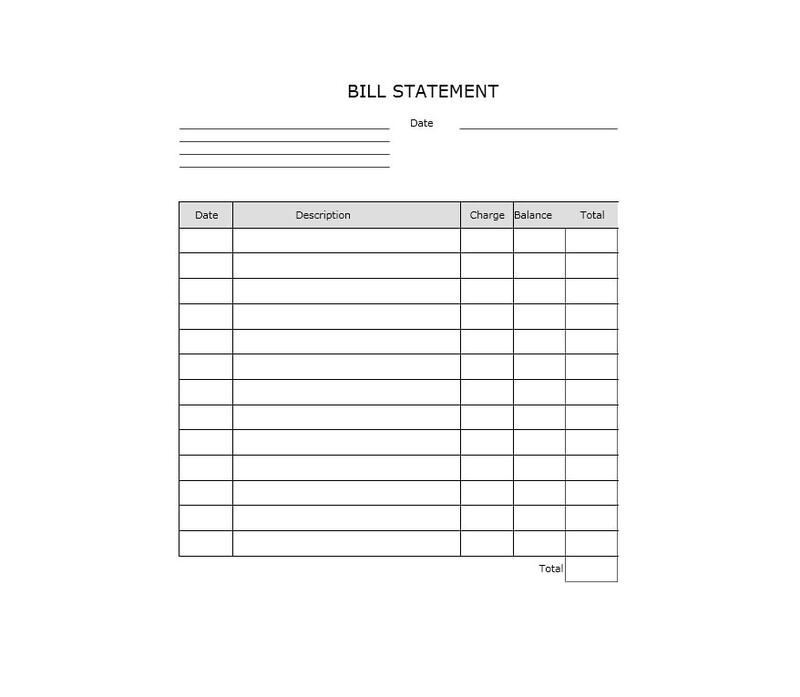 So you don’t have to type the name of the one you’re sending the bill to yet. 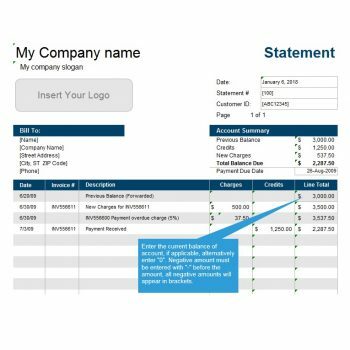 You can add that information when you’re actually creating billing statements to issue. But on the template, leave the field blank. Add a blank section to list the work or purchase order number. Again, make sure the customer will see this number easily. 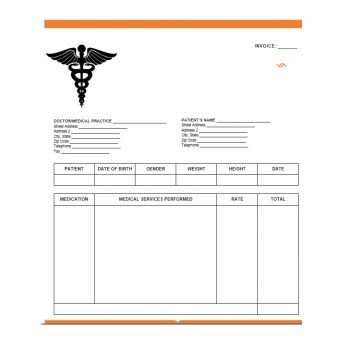 Before you start inputting information, examine the blank template first. 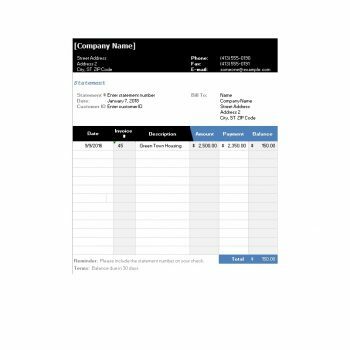 Make sure to check the formulas of the template you’ve downloaded. 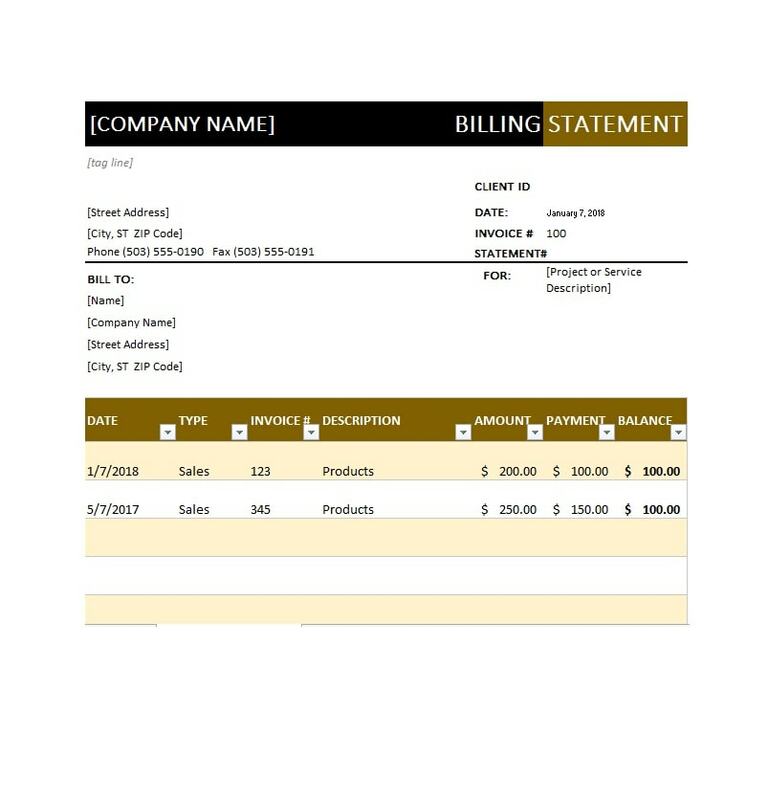 It should have the formula to allow you to immediately get the total cost. When you input the numbers, you shouldn’t have to add them up manually. 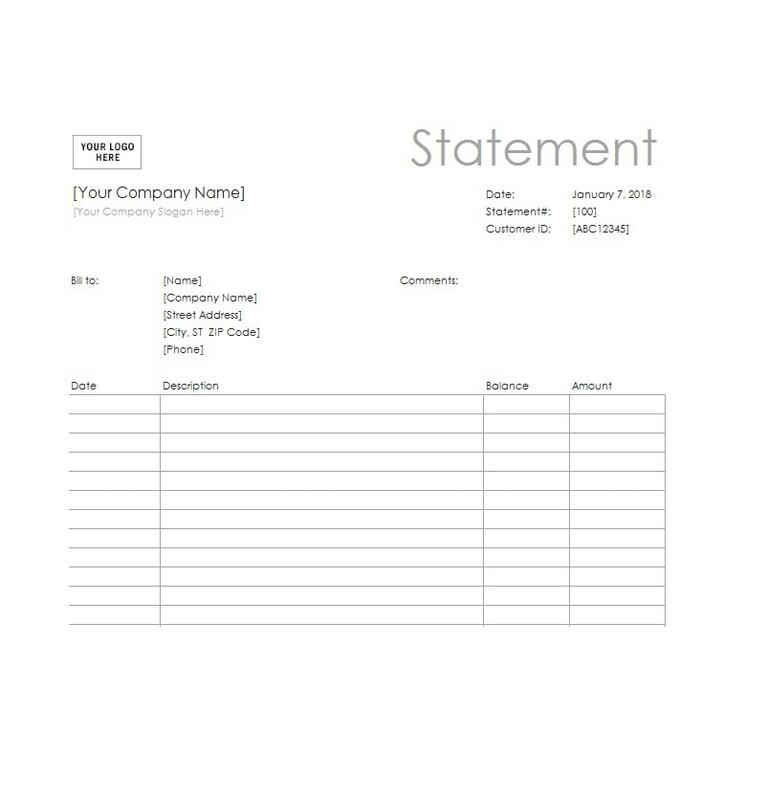 When you’ve completed your blank template, try making a sample statement. 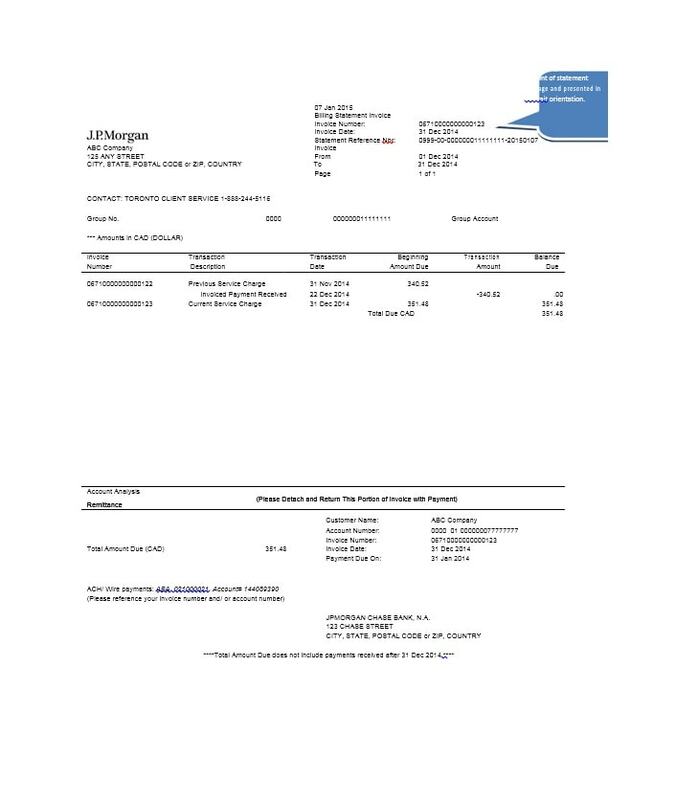 Then check the computations and print out the document. Check the spelling of all the information. Also, make sure you can read and understand all the data well. 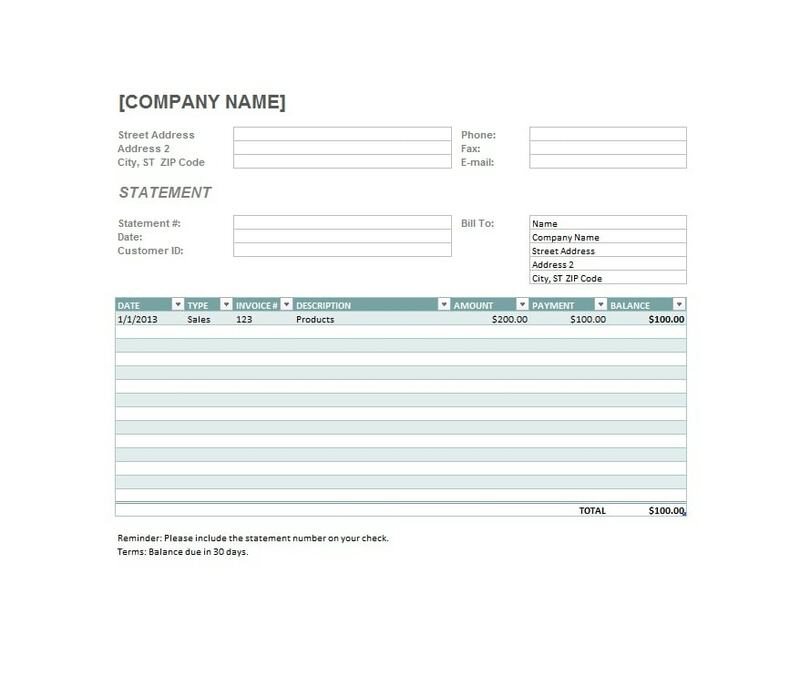 When you make a template for your billing statement, make sure that it looks professional. You can download our template to start with and work from there. 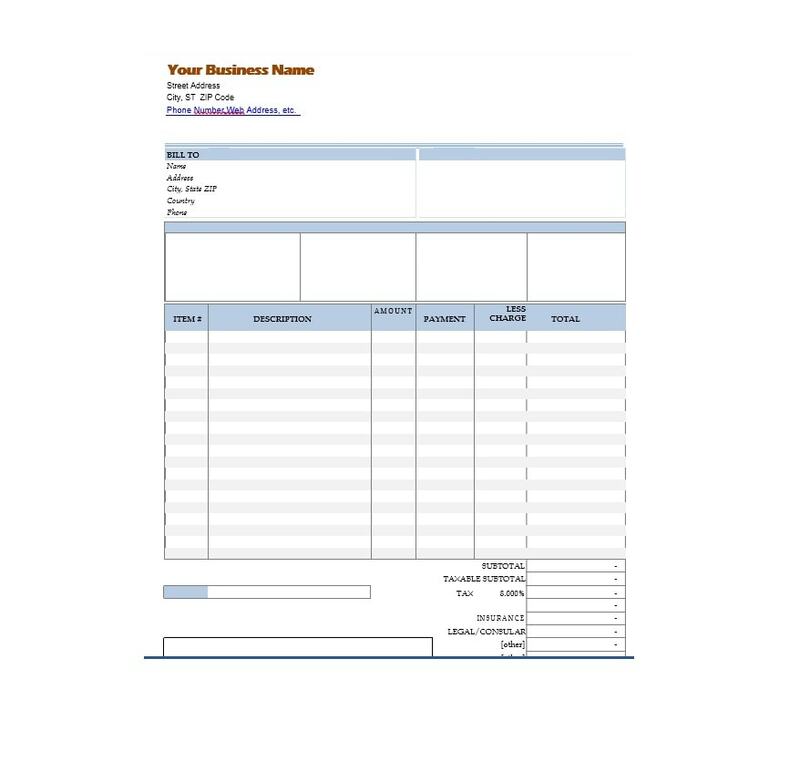 When you’re happy with your own template, you can start filling in the information. 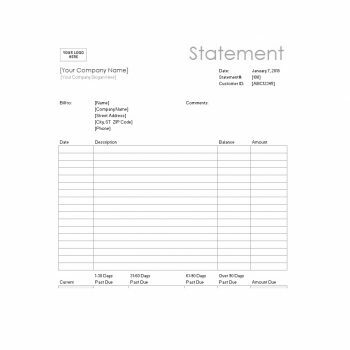 Then, print them out and issue your statements to customers. You aren’t required to use a statement number. Most times, the statement date is enough. 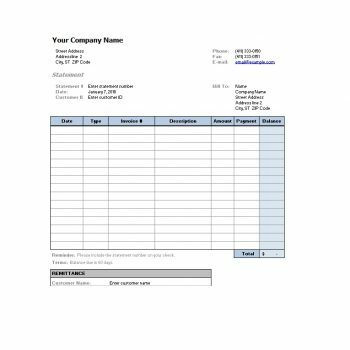 Although the current balance should appear on the sheet, you can also check it manually. It’s quite easy to calculate the current balance. Just subtract the total of all the payments from the total of all amounts. If you want to add more rows for the account activity, you can. Just be sure to insert the new rows above the “current balance” area. Do this so you don’t modify the balance formula. Never send your Excel spreadsheet file to your customer. 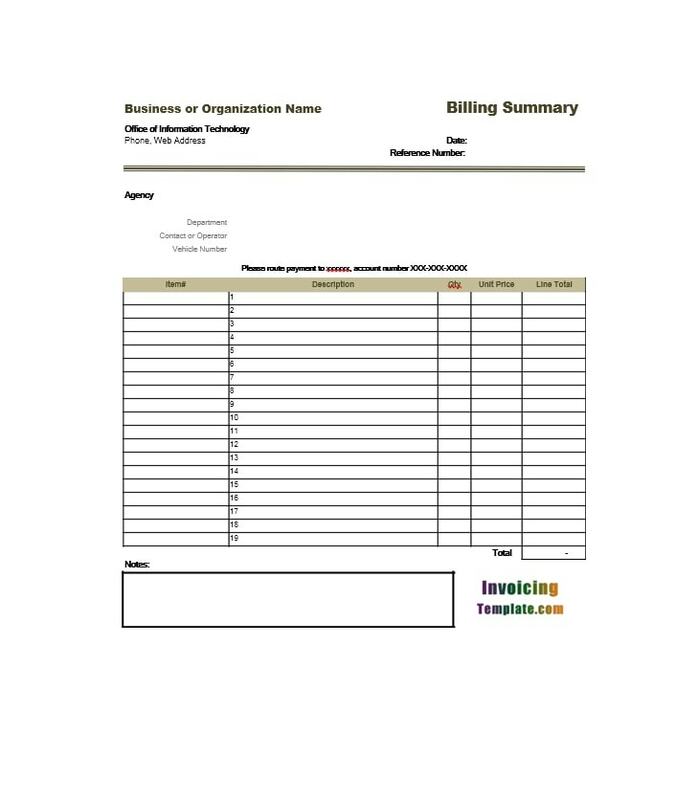 If you prefer a paperless means of sending billing statements, send a PDF file. Do this to ensure that your customer will be able to open the file. If you want to print out hard copies, print more than one. Send a copy to your customer, then keep the other copy in your file. This way, you can easily use the copy as a reference if you need to. 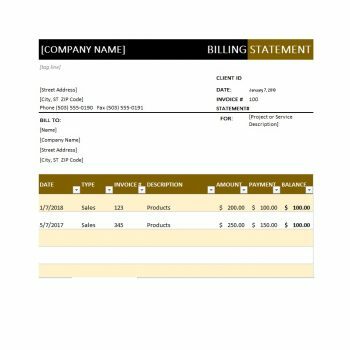 When your customer receives the billing statements, it’s up to him/her how to use the information in it. Another thing to keep in mind is to issue the statement earlier than the due date. 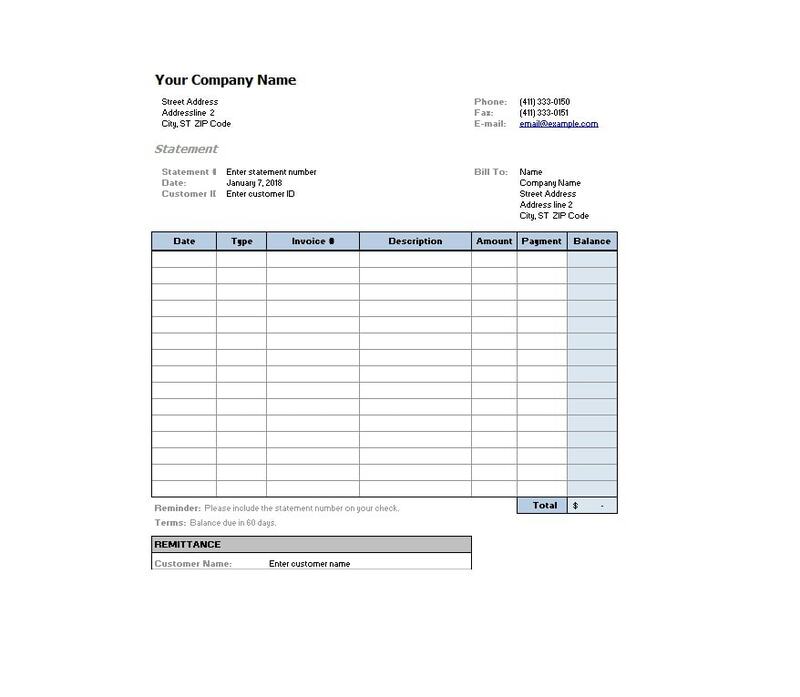 Your customer might not be too happy if he receives the document a day before he’s supposed to make a payment. 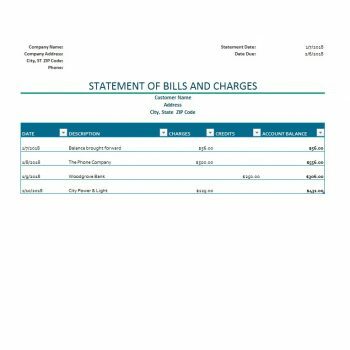 When you use and issue billing statements, you need to handle them professionally. If not, you stand the chance of losing your customers, all because of a simple document. On the other side of the coin, you may not be the one issuing the billing statement. You may be on the receiving end. 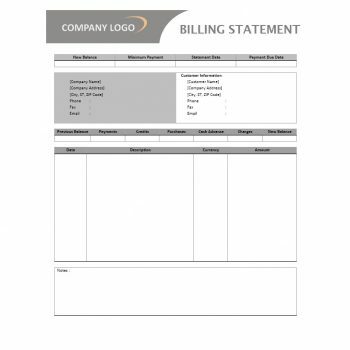 A billing statement is a report given in a timely manner to clients and customers. 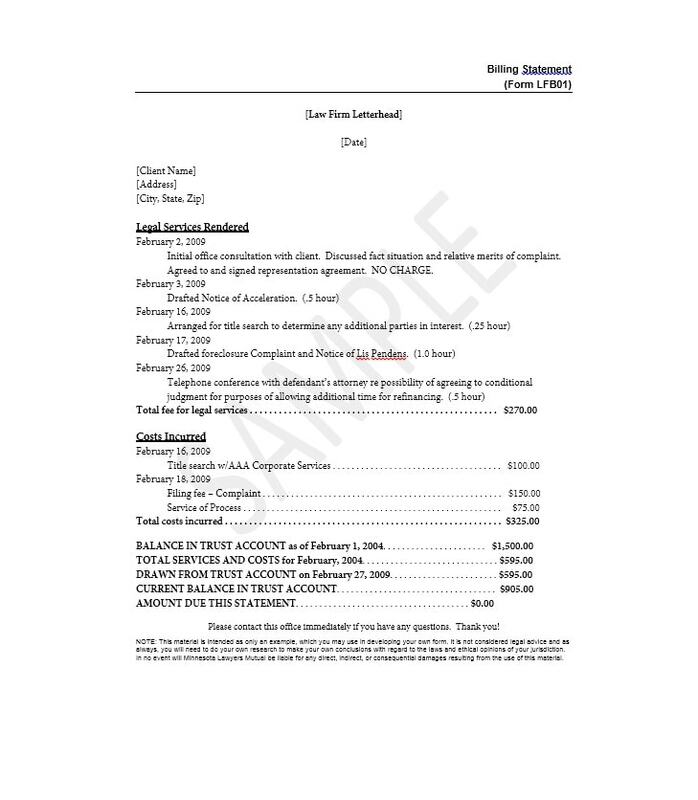 It shows previous balances, recent transactions, and other information within a given period. Usually, institutions issue such statements monthly, at the end of the billing cycle. 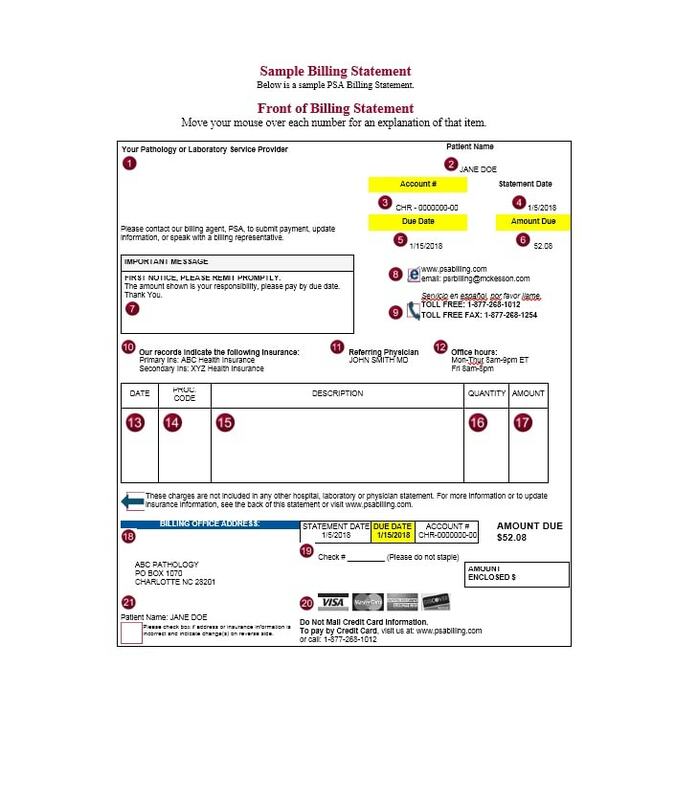 Such documents are typically used by credit card companies. However, any type of business which charges their customers may use it. 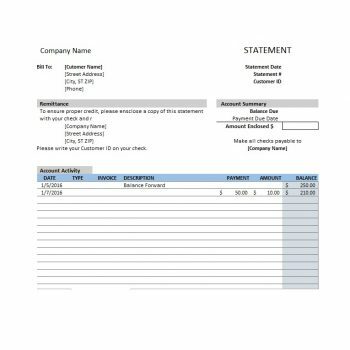 A statement sent by businesses usually contains an itemized list of pending invoices. 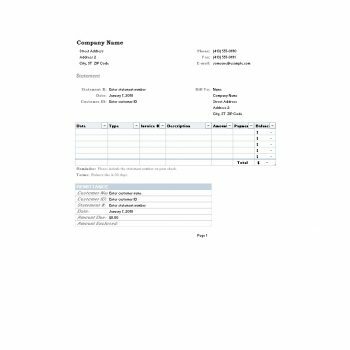 It may also contain a list of goods and services the customer must pay. 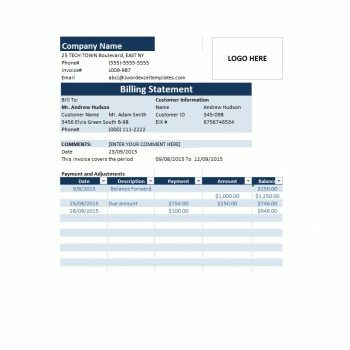 A billing statement template would contain the customer and seller’s business addresses. 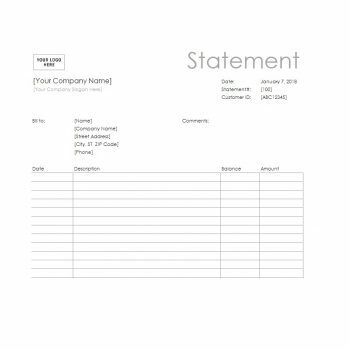 It would also usually have the statement date, customer’s reference number, and others. It would also contain information about the amount the customer owes to the business. 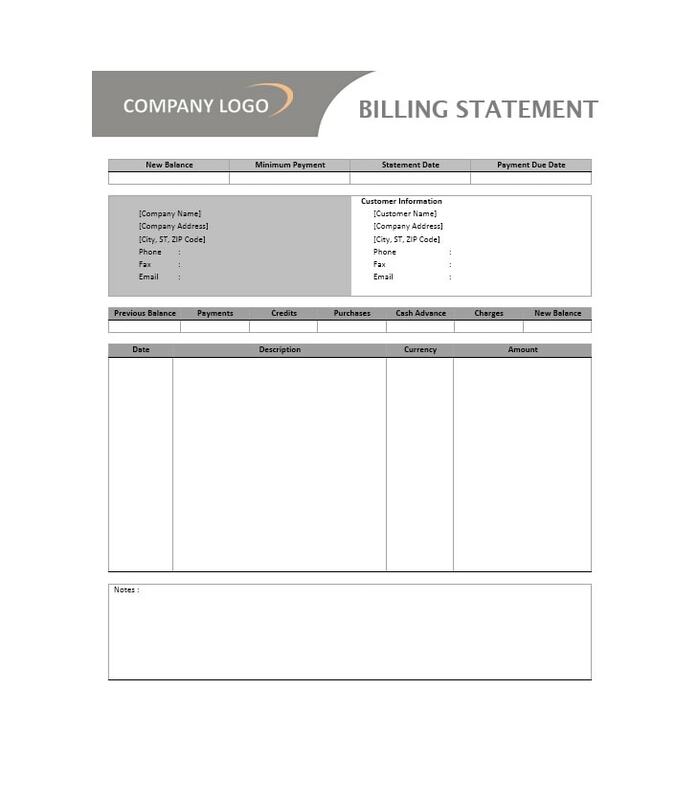 Usually, businesses which charge their clients periodically issue billing statements. They would serve as a reminder for any unpaid invoices. Sometimes though, there are parts of the statement which you may find hard to read. 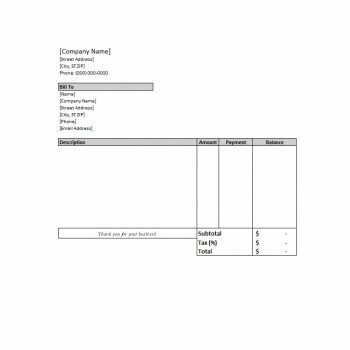 This portion would give you a quick summary of your account. 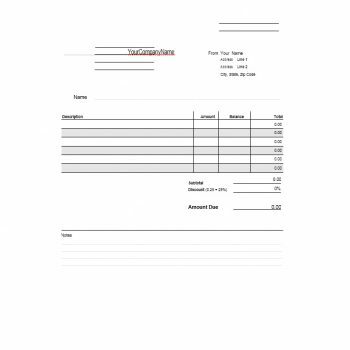 It includes your account/customer number and the total amount due. It would also state the minimum amount and due date. In some cases, this would also contain meter numbers and your service address. If you have any questions regarding your statement you may call the issuer of the statement. 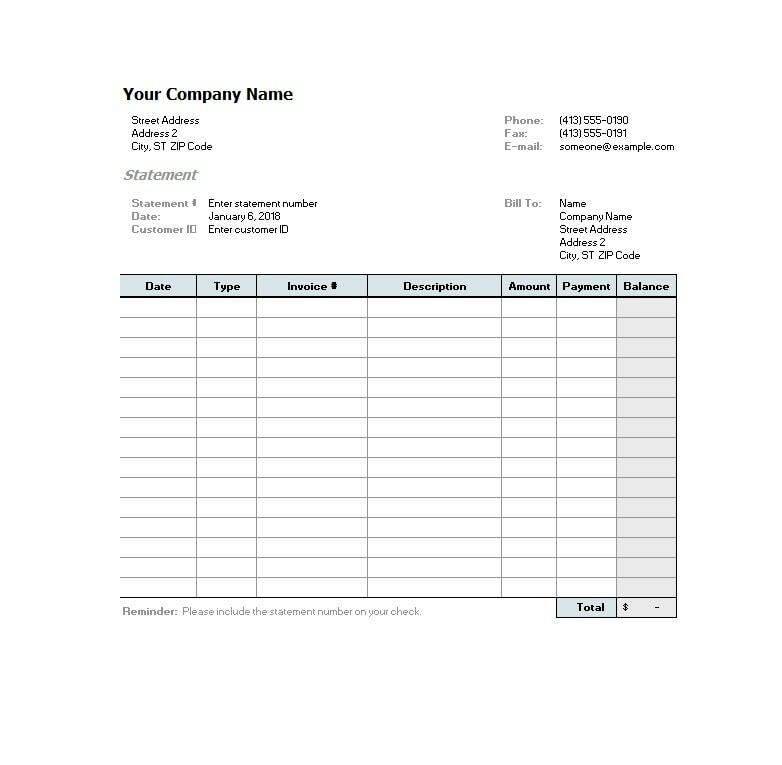 While talking to them, you will refer to this part of the document when identifying yourself. 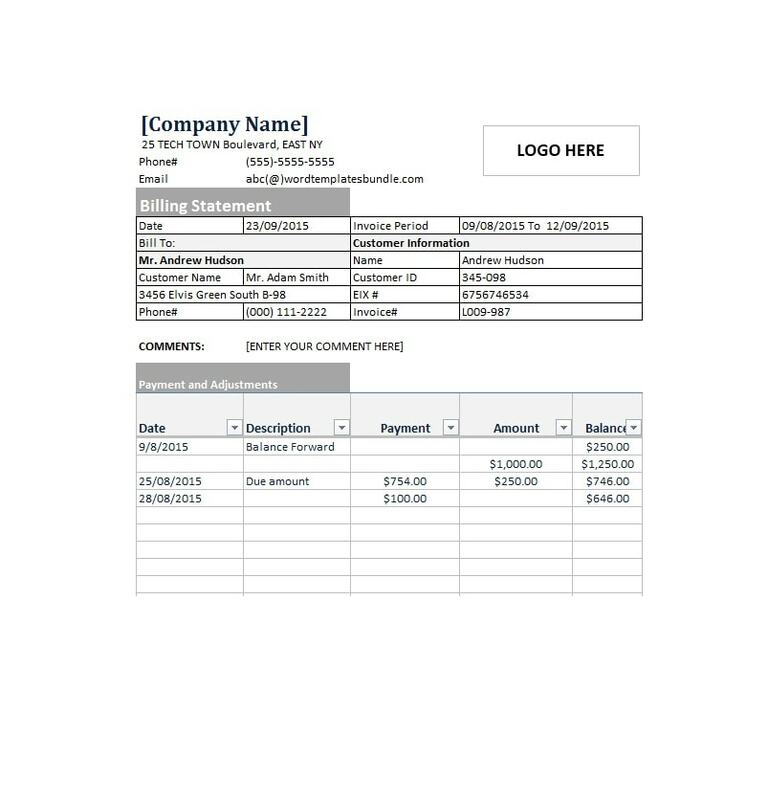 This part would contain all your recent transactions or pending invoices. 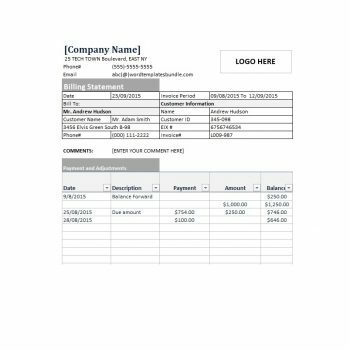 It would contain the total amount which you need to pay to the business. In some cases, this portion would also contain all the energy charges for your current bill. 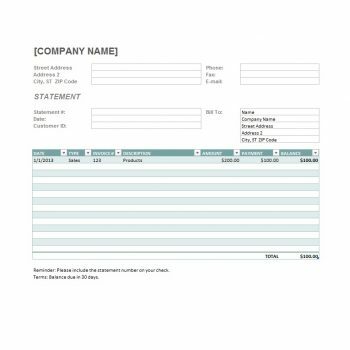 It would contain an itemized list of all charges and fees you owe to the company. 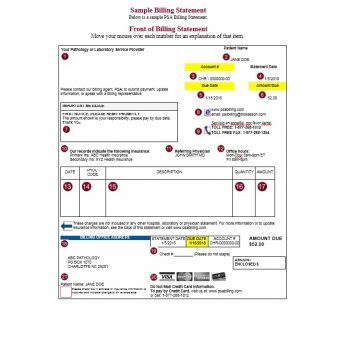 This portion appears on specific billing statements. It’s usually hard to read and understand. It contains the basic charges for customer service. 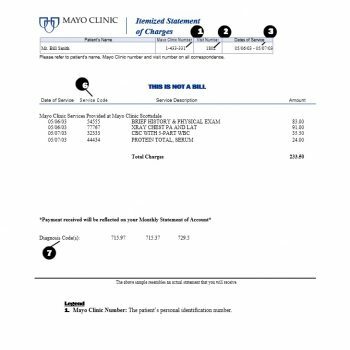 It would also have information about administrative and billing costs. It also contains the actual cost of power you’ve consumed in the given time frame. If you don’t understand this portion, it’s best to visit the power company and ask questions. It is better that you understand the information on your statement. Do these before you make your payments. This contains a summary of the information regarding your previous statement. If you’ve fully paid your previous debt, then it should reflect on this portion. If not, the pending amount would add to your current billing statement amount. This part may also appear as a graph. It would show the difference between your current consumption and your previous consumption. 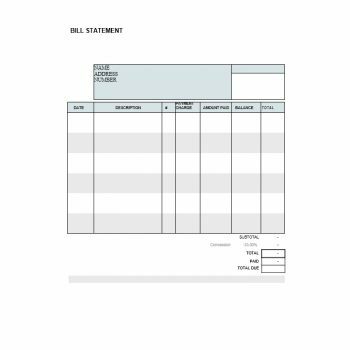 Billing statements may contain a wealth of information. No matter what the statement is for, you need to read and understand everything. Before you make payments, you need to make sure that you’re only paying what you owe.